Home / Archive / Could viewers take their favourite online TV services abroad with them on holiday? Could viewers take their favourite online TV services abroad with them on holiday? The EU has today announced it's proposing new laws which will allow holidaymakers to take their favourite online services with them. 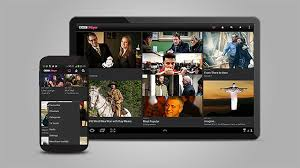 At present, Europeans travelling within the EU may be cut off from online services providing films, sports broadcasts, music, e-books or games that they have paid for in their home country, such as the BBC iPlayer, Netflix and Sky Go. Today's proposed Regulation on the cross-border portability of online content services addresses these restrictions in order to allow EU residents to travel with the digital content they have purchased or subscribed to at home. Cross-border portability is expected to become law in 2017. Since it is a proposal for a Regulation, once adopted it will be directly applicable in all 28 EU Member States, although whether UK users will actually benefit from the laws will depend on the forthcoming referendum. Access to online services in other countries is often restricted due to copyright or licensing rules, stopping media companies from openly offering content abroad. Licensing rules may mean that operators have to put security measures in place to stop access from outside of the home country. This means that currently, some travellers have to use illegal or unauthorised ways of accessing content abroad. It's these copyright and licensing restrictions that the proposals aim to address. ITV currently offers a online service for expats and traveller in parts of Europe. ITV Essentials offers a small selection of ITV content including Coronation Street for a monthly fee. In July, some of the largest media organisations, including Sky, Disney and Universal were accused of working together to geo-block viewers accessing their content when travelling abroad.